Pregnancy, birth and beyond can be daunting for most parents. That's why we've recruited the expertise of Pampers Village Parenting Panel Midwife, Mary Steen-Greaves, to join us for a live webchat on Monday 13th June between 12- 1pm. Don't worry if you can't make that date or time, leave your question now and Mary will endeavor to answer as many questions on the day as possible. I am 22 weeks pregnant and in the last few weeks have noticed my belly button has gone dark purple and become very tender. It also hurts from inside as well sometimes. Is this normal or should I go and get it checked out? I'm also I little concerned about my emotions. I am snapping and crying at A LOT and quite a few things stress me out which shouldn't. What can I do to try and control this. If I'm feeling like this already should I be concerned about post natal depression, is there anything that can be done to avoid it? I had my baby a year ago, but am posting a question on behalf of my sister as I am worried about her. She is 34 weeks, and for the past 6 weeks has been suffering from sharp painful abdominal pains, headaches, nausea/occasional vommiting, blurry vision, hip pain when moving. She keeps being told that it is just a virus and she should stay on bed rest until it passes. She has been resting for a while now, but the symptoms still come and go, and if anything are getting worse. She has had countless visits to the GP, who tests her urine for protein and takes her blood pressure, and tells her to just wait it out. Last night she was in so much pain, with a temp of 38.9 that she went to A&E where the doctor didnt even touch her, just told that it was probably a virus, and she was making a fuss about nothing, and to go home to bed. She is at her wits end and very depressed. We inderstand that aches and pains are normal during pregnancy, but to me this seems beyond normal. Does this sound like normal pregnancy related pains to you, or possibly something more? we really dont know who we can turn to now. 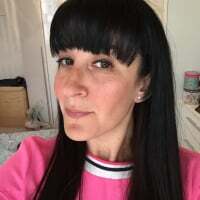 Hi everyone, I'm Mary Steen, a mum of three children and a midwife for over 23 years and I've cared for many women, their babies, partners and family over the years and intend to continue to do so for many more years. I'm a member of the Pampers Village Parenting Panel which consists of several experts who can advise you of your health and well-being and that of your baby. I'm on-line and available for about 1 hour to answer any queries or concerns you, your partner or a family member or friend have. What is your advice on maternity leave, I'm working full time in the city with a commute, how many weeks prior to due date would you recommend stopping work? Thank you for your message. You have two concerns. The first one re: purple discolouration around your belly button, could be due to hormonal changes in pregnancy, many women have skin changes often the skin pigmentation changes and becomes darker in colour and as pregnancy progresses, this is noticeable of women faces, hands and feet. The tenderness may be due to your womb growing and the top of your womb will just be above your belly button at 22 weeks. Your second concerns regards your emotions, sorry to hear you are feeling very emotional. Many women have emotional changes during pregnancy. You are in your 2nd trimester now and this is usually when you start to blossom and generally feel better in yourself, if you are feeling very emotional and weepy you really need to see your midwife. Women can suffer from antenatal depression as well as postnatal depression. You need to discuss how you are feeling with her. So make an appointment and let me know how your get on. I'm so sorry to hear about your sister. I agree with you that aches and pains in pregnant women are common which is often due to the release of relaxin hormone which effects ligaments and also the growing pressure of the uterus on abdominal and pelvic organs. Your sister had a temperature of 38.9, that concerns me and yes it may be due to a virus but there could be another reason such as a bacterial infection. You do not mention any follow up appointment? Your sister needs to be checked out to see if her temperature has subsided and there are no other signs of infection. I assume that her baby's growth and development are satisfactory and she has had no vaginal infections or bleeding? At 34 weeks she should have a routine appointment due with her midwife, she need to attend this and will be more closley monitored from now on. Let me know how you get on. I had really bad SPD I have been on crutches for 8 weeks. I am wondering how soon after birth this will go away? What are your thoughts on acupuncture for SPD? Also, I am being induced at 38 weeks, I have been told that I will be monitored, does this mean I will not be allowed to get up and about and move around? This was my plan as I can't have a home birth or water birth. I already have a 2 year old and with him my birthing plan didn't quite go to plan, i ended up having an emergency c-section. After 30 hours of labour, my little boy's heart rate kept dropping, so they decided the best option was a c-section. After reading the news today that health authorities are trying to reduce the number of c-sections due to cost and junior Doctors will have to wait for Consultants to approve the proceedure because they are worried about the expense leaves me a little worried, especially if i decide to have another child. As a midwife i wondered what your thoguhts were on this piece of news? Thank you for your question re: maternity leave. It all depends on how you are feeling and coping? You say you live in the city and have a long commute which can be very tiring. You have to way up how you are coping with when you want to start you statutory maternity leave? Many women work upto the last month of pregnancy. Listen to your body and if you are finding it increasingly difficult to cope, then that is your cue. The government's website has some useful information see weblink below. Thank you for your message. Firstly, from about 15-16 weeks of pregnancy women become aware of their developing uterus feeling tight, then relaxing which is known are Bracton-Hicks (practising tightenings) these should not be painful but your are certainly aware of them. If you find them to be painful see your midwife to get check out. In pregnancy your blood volume increases and your heart has to work abit harder this may be the reason you are aware of your heart beating when you lie down. It is recommended to lie on your side, in particular your left side to help your circulation, I would recommend your do this. Any concerns check them out with your midwife. I'm 7 weeks pregnant but really aren't feeling it. With my first I had nausea, and tiredness, but apart from a bit of nausea when I found out,and achy hips I'm not feeling anything else. I have to keep remidning myself I'm pregnant, is this normal? i keep telling myself I'm one of the lucky ones and avoiding any bad symptoms but I'm stilla bit worried! also, both my mum and my cousin had miscarriages on their second pregnancies, when their first born was 2, i'm now in the same situation, what are the chances of it happening to me? SPD can be very painful, I bet you are fed up! The hormone Relaxin is still in your system for several months after birth so you may still have problems but not as severe as you do not have the pressure of a pregnant uterus anymore. I also recommend women to purchase a birth ball (or a fitball - same thing but might be a cheaper option). Sitting on one of these balls will help you align your spine and ease pressure on you symphsis bone. Women tell me this is really helpful. Acupuncture may help, some women have reported that it helped them so that might be an option. Discuss you birth with your midwife, you should be able to remain active during early labour and possibly when your labour is established, it is more difficult to move around with IV drips in situ etc.. . but changing positions is possible and certainly sitting on a birth ball also helps. Good Luck! Thank you for your message regarding C-sections. You describe your first birth and why you had a C- section and it is very clear that the obstetrician needed to intervene on that occasion. You ask me my views, well every case needs to be assessed on its individual merits certainly not due to cost. The WHO recommend that about 10-15% of women will require a C-section and the UK rate is approx, 24-25%, so we have a higher rate than the recommended rate and that does need looking at. Also, there is alot of geographical variation in the rate of C-sections throughtout the UK and the reasons need to be reviewed. Some women opt for the Vaginal Birth After Caesarean (VBAC) If you get pregnant again the risk and benefits will be discussed with you, so you can make an informed choice. Thank you for your message regarding your 2nd pregnancy at 7 weeks. Firstly, congrats! For alot of women a missed period and tender breast are the only symptoms they feel at this stage. Remember every pregnancy is different, and you say you had nausea last time and not this time, there is still time to develop some nausea feelings. 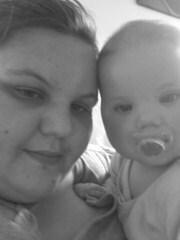 I remember being pregnant with my 2nd one and thought brillant I'm not feeling sick, only to find a week later I was. You like every other woman worry about the risk of miscarriage and especially because you have other female family members this has happened to. This is a natural response. You should be seeing you midwife for your first contact visit in a week or so, that will help to reassure you abit.